Well they certainly look like they’re having the time of their lives. Played by two to six persons, this game provides endless fun for members of your family or your party guests. The object of the game is to drive a table-tennis ball into one of the two goal baskets at opposite ends of the box. This is done by hitting the ball with wooden paddles attached to dowel rods, which are turned and pushed back and forth by hand. There are eight rods; the two center ones have four paddles each, the next two toward each goal have three each, while the next pair have two paddles each and the last two next to the goals have only one paddle each. The last two rods are equipped with stop collars or pins, which prevent pulling the rods out of the holes. Alternate rods have paddles facing in the same direction. With four persons playing, opposing teams on either side of the box, each player grasps two rods having the paddles facing toward his goal. To play, a ball is dropped at the center of the field and both teams engage in driving the ball. More than four people can play by having some of them, or all of them, operate only one rod each. The goals are simply wire baskets, hooked to small screw eyes. The paddles are pieces of quarter-round molding, lattice strips or other material. The date is correct for the invention which did not become common in Europe until AFTER WW2 and was likely introduced in Veteran’s Hospitals as therapy for wounded soldiers. Huh, looks like it’s not the origin, but I could certainly see the article being part of it’s popularization. 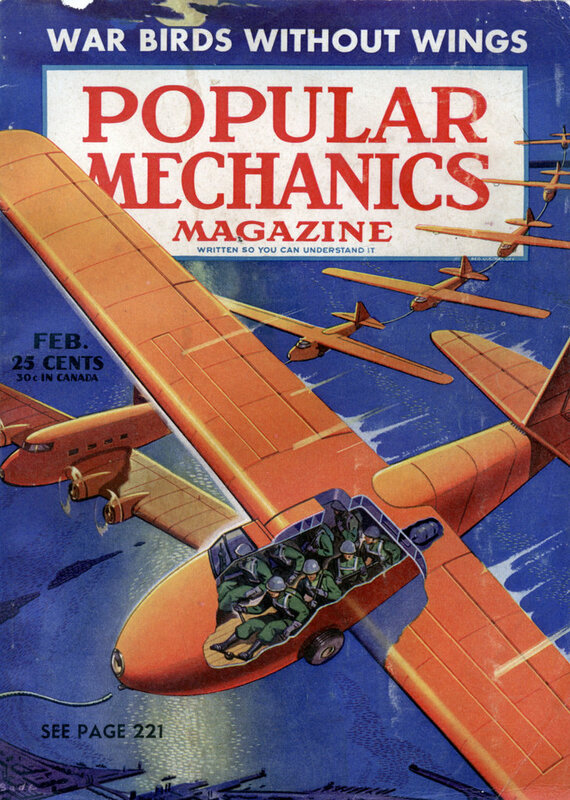 I’m sure PM was very popular with the troops. 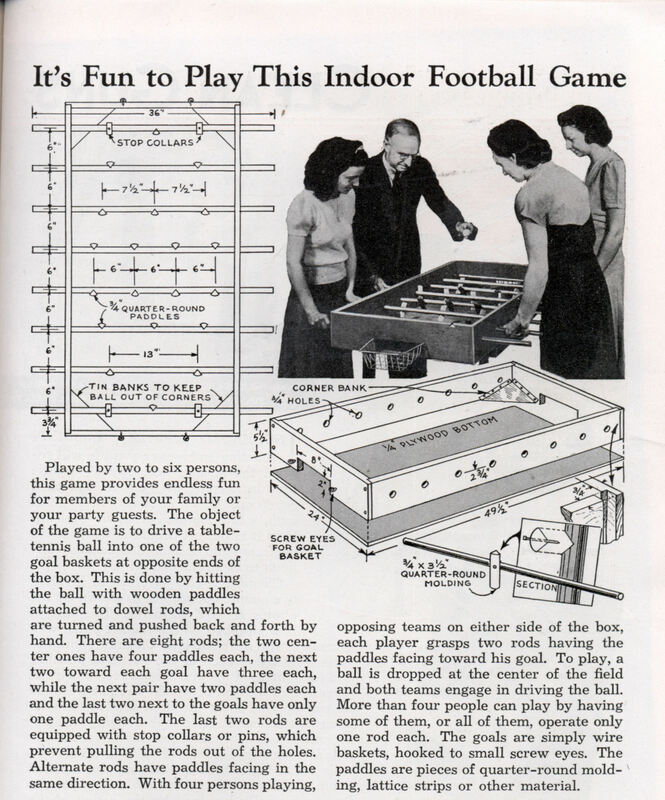 Here’s how to make a fun and simple old-timey indoor football game. However, you need a suit or a nice blouse to operate it – Link…….